Dharamshala, India — Leaders from across the world have expressed grief over the death of former prime minister Atal Bihari Vajpayee and recalled his contributions in strengthening bilateral relations and maintaining regional peace. 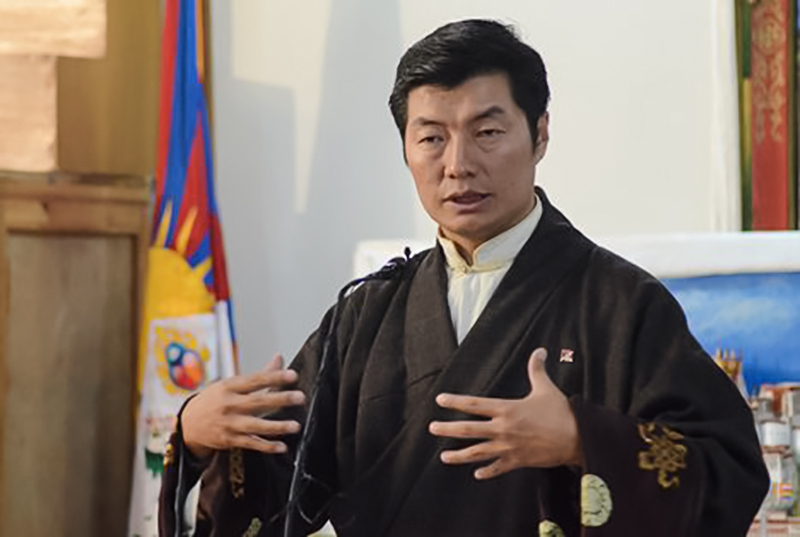 President Dr Lobsang Sangay referred to the former prime minister as one of the giants in Indian politics and also one of the strongest voices for Tibet. The President of the Central Tibetan Administration, Dr Sangay offered condolence over the demise of Shri Atal Bihari Vajpayee, former Prime Minister of India. “Deeply saddened by the loss of Atal Bihari Vajpayee Ji. He was one of the giants in Indian politics and also one of the strongest voices for Tibet,” President Dr Sangay added. US, UK, France and Russia were among the first to offer condolence messages. Nepal PM K P Oli's message to Sushma Swaraj, said: “Late Vajpayee was a visionary statesman with impeccable integrity and dedication. He will be remembered for his sagacity and exemplary selfless service to the people of India. In his demise, India and the world lost a towering political figure and Nepal a true friend and well-wisher. His contribution to strengthening Nepal-India relations will be remembered forever.”. President of Maldives Abdulla Yameen's message of condolence said “We would fondly remember former Prime Minister Vajpayee for his contribution to human resource development in the Maldives, and for the memorable visit that he made to the Maldives during his tenure as the Prime Minister of India,” Yameen said in the message. Mauritius PM Pravind Kumar Jugnauth, said in a message: “Shri Vajpayee shaped the destiny of India through his bold leadership and his deep-rooted empathy for the common man....” Mauritius lowered its own flag on Friday as a mark of respect. Israeli foreign ministry’s director general Yuval Rotem said he was “deeply saddened to learn of the death of a giant”. He tweeted a a picture of Vajpayee shaking hands with former Israeli PM Ariel Sharon. In his message to PM Modi, Mr Oli said: "Late Vajpayee was a visionary statesman with impeccable integrity and dedication. He will be remembered for his sagacity and exemplary selfless service to the people of India. Vajpayee served as Prime Minister of India for three terms that began in 1996, 1998 and 1999. He was the first non-Congress, non-Gandhi Prime Minister to complete a five-year term. Known for his astute leadership, in 2014, the former PM was conferred with the Bharat Ratna, India’s highest civilian award.